I am looking for the top plates for my Cantar Chateau pool. Does anyone know where these metal plates just below the coping on an above ground pool can be purchased? Need to replace the 6 in resin seat covers on a sanoma 24 ft above ground pool. Does anybody know where to find these? My pool is 21' round and I have had it for 11 years. I'm looking for the top rail to give the wall more support. Looking for part number 1450293 for Cantar 24' round pool. Need at least 10. Need a top rail for a 1996 cantor pool thinking estate model size 24 by 48 cannot seem to find parts on internet. Need base plates for Chateau Cantar pool. Specifically I am looking for the top rail caps for my Cantar pool. If anyone has any info where to buy Cantar pool parts that would be great. I bought this pool and some of the bottom rail was rusted, too far gone. I have six granddaughters who are wanting me to get this pool put back up fast, can someone please help me? We have this pool and it has never been installed. The ground is cut down and level. We started laying out parts and noticed we have no straps, bottom rails (18 needed), base plates (12 needed), top plates (18 needed). Haven't had any luck on the web or with any call backs from places we have called. The place where it was purchased has closed down since, also wondering if there is other buttress free pool from other manufactures that may use same stuff with different part numbers. Any help would be great. Thanks, Travis from WV. 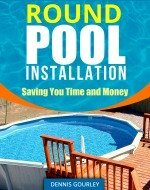 I just replaced the liner on my pool 21 ft round. The installer has told me that I need the top railing which I never have that in my pool. Pool is 11 years old. please help..
We are a pool repair and installer company in Fredericksburg ,Va. We are putting a new liner in a Cantar 18'x33'above ground pool. We are also trying to find new cap or top rails but so far have been unable to find a supplier. Can anyone help us find new or used but in good shape used rails? I've also been searching for Cantar parts. I have a Cantar 24' x 48" Summerfun Classic that I just bought used. One bottom rail is severely rusted. I found that an Atlantis / Esprit Pool prior to 2010 appears to have the same parts. Parts are made by Wilbar International. This site has good parts lists and views. Let us know how the wilbar parts fit. Did you order the wilbar 1320102 top plate? I have a Cantar Chateau Oval 15x 30 pool. I am looking to replace my vertical brackets. They are rusted at the bottom. I need to replace top seats that have rusted out where the ladder is. Cantor estate 15x 30 oval by 4 ' deep. Purchased September 1997. Any idea where I can purchase? Does anyone know where I can find 52" side wall for my Cantar Summer Fun 18' pool? My ledges for my 18 foot Cantar pool are rusting can someone tell me where I can buy replacement rails please.